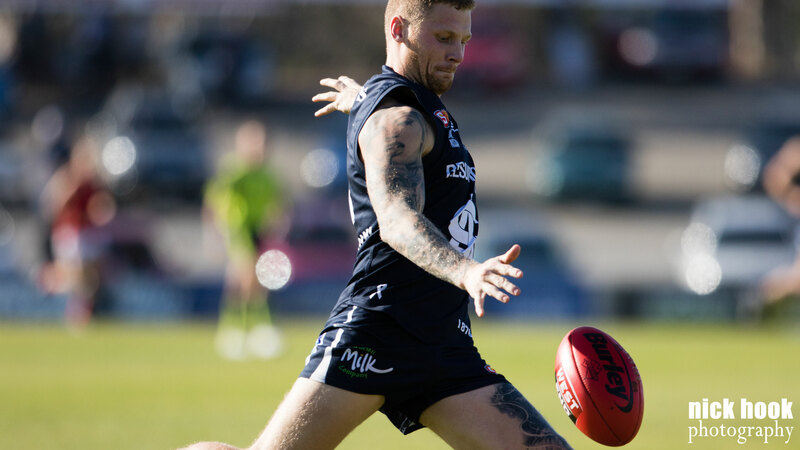 South Adelaide paid the price for inconsistent effort and suffered an eight-point loss to Norwood at Hickinbotham Oval on Sunday afternoon. Despite fighting back a six-goal deficit in the final term to draw within eight points, the Panthers were unable to undo the Redlegs dominant play through three quarters and fell to a 8.12 (60) to 10.8 (68) loss. Norwood took control of the match early, with Lewis Johnston and Cam Shenton kicking the first four goals of the game between them. Meanwhile, the Panthers waited until the 25th minute of the first term to hit the scoreboard through a brilliant piece of running play and raking left foot kick from Richard Newell. South fought back in the second, with early goals to Newell and Jackson McMahon pulling the margin back slightly. However, the hosts were left to rue some poor kicking for goal, spraying 2.4 for the quarter and conceded two goals in time on to head into halftime down 23 points. The third quarter was fought with endeavor, but poor skill and turnovers would prove costly and 36 points would separate the two sides at the final break. To the Panthers credit they came home with a wet sail in the fourth. After Newell and Redlegs speedster Anthony Wilson traded goals in the opening minutes, the Panthers would register the final eight scoring shots of the quarter. Once Rigby Barnes kicked his first in the 31st minute of the quarter the margin was reduced to just eight points. If not for some inaccurate kicking (South kicked 4.4 to Norwood's 0.0 in the final 25 minutes) the result may have been different. However, it was much too little too late. Classy on baller Nick Liddle could again hold his head high after another impressive performance. The three-time Panthers best and fairest claimed 22 disposals, clunked seven marks and laid a team-high nine tackles in clearly South's best individual performance. Matt Rose (25 touches and eight tackles) and Xavier Gotch (23 possessions) continued to find plenty of the ball through the middle of the ground, while Joseph Haines continued his positive response to being sent back to the Reserves with 24 touches and six marks. Also impressive after receiving the call up from the twos was the hard-running Newell, kicking 3.2 and providing plenty of energy and run. For the visitors, Brad McKenzie (30 touches) found plenty of the ball, Jace Bode was rock solid in defence and the aforementioned Johnston was a dangerous target up forward. The Panthers will have time to reset over the split round bye this weekend before looking to end a four-game losing streak against North Adelaide on Saturday, July 1 at Prospect Oval. South Adelaide's Reserves claimed another scalp in emphatic fashion, claiming a 59-point win over Norwood at Hickinbotham Oval on Sunday afternoon. The Panthers claimed their third win of the season on the back of a strong first half and much-improved game style, earning a 11.8 (116) to 9.3 (57) victory. 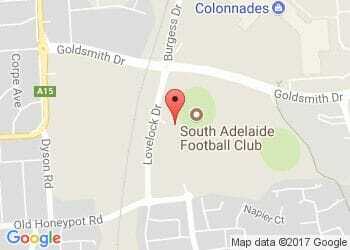 Earlier in the season, South Adelaide's ball movement was characterised by inconsistent skill level and decision making. However, in recent weeks this has become the anomaly rather than the expectation. In the first half, the hosts methodically picked apart Norwood's defensive pressure and were able to pile on goals through their precise ball movement. The result being a 64-point margin at the major break. To the Redlegs credit they did fight back after the break and did win the third term. However, a good response from Adam Blakely's men in the final term saw them run out the game comfortably. Flagstaff Hill recruit Matt Raitt was again impressive with his work around the stoppages and physical defensive pressure, finishing with 21 touches and a goal. Forward/ruckman Codey Ellison claimed a match-high 10 marks on his way to three goals, while junior Liam Fitt was also a key target up forward with two goals. Ben Heaslip (27 possessions, seven marks, five tackles and a goal) and Connor Fairlie (27 disposals, six marks, five tackles and two goals) were the leading possession getters on the ground and both also hit the scoreboard, while Henry Bruce continued to look at home at senior level with 24 touches. Also pleasingly, Peter Rolfe ran out his first game in over two years without any issues, claiming two goals in the process. The Reserves also enjoy the bye next weekend and are next in action against North Adelaide from 11:30am, Saturday, July 1 at Prospect Oval.